PeerSpectives training is for roundtable licensees and their facilitators — and individuals who seek professional development but don’t plan to run roundtables. Although training is a requirement for facilitators of PeerSpectives roundtables, individuals responsible for marketing and recruiting roundtable members can also benefit. This might be the same person, but if different people fill these roles, consider sending both to the training. They will receive a solid understanding of the PeerSpectives protocol and be better equipped to answer questions. They can also step in as a backup facilitator in a pinch. First-year licenses include training for one person; additional individuals or those wanting a refresher in subsequent years may attend for $300 each. All individuals attending a training session must be associated with a current license. If you don’t already have a license, please contact Rita Phillips. What does PeerSpectives facilitator training involve? 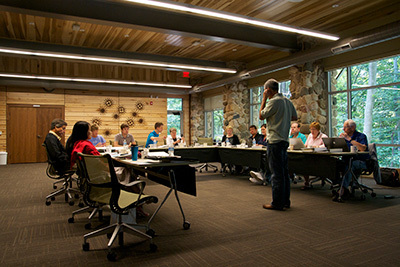 Training is held at the foundation’s Big Rock Valley retreat center. Sessions run for two nights and three days and are offered twice yearly. First day: Guests arrive between 3 and 5 pm. A light dinner is served at 5:30 pm. Training begins with introductions and an orientation at 6 p.m. and runs through 9:30 pm. 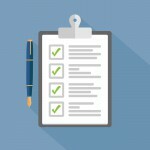 Included is a look at second-stage companies, and the qualities you should be aware of when offering services to them. Depending on weather, either a campfire or indoor fireplace is set up for networking. This interaction is encouraged to make the most of your peers. Second day: The PeerSpectives protocol is examined in detail. Learning is conducted through videos, presentations and practice in small groups and individually. Again, either a campfire (weather permitting) or indoor fireplace is available for post-session networking. Third day: The training culminates in a final practice session. Each participant performs the role of facilitator using a roundtable case study and receives feedback. Training ends at noon. 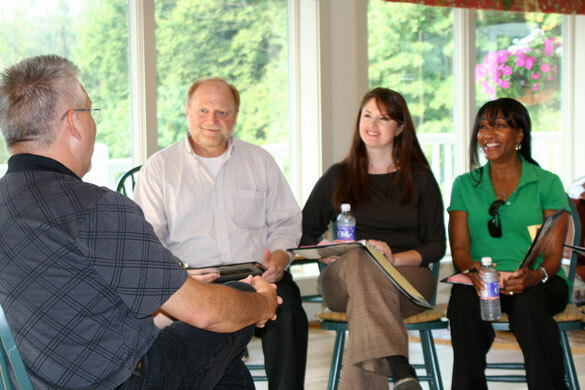 Throughout the training, attendees participate in small and large group discussions as well as experiential exercises. How do I sign up for the next PeerSpectives facilitator training session? Registration must be completed 30 days before each session and is on a first-come, first-served basis with a maximum of 20 attendees. (A signed and paid license is required prior to registration.) Contact Rita Phillips to register. First-year licenses include training for one person; additional individuals or those wanting a refresher in subsequent years may attend for $300 each. All individuals attending a training session must be associated with a current license. Professional facilitation, lodging and meals are provided. Attendees provide their own transportation to and from the retreat center. A $150 fee will be collected for no-shows or cancelations within 30 days of the training date. I'm an experienced facilitator. Is PeerSpectives training still required? Your past experience will serve you well. However, PeerSpectives uses a specific protocol, and you must be trained by the foundation before running a table under a PeerSpectives license. Those wishing to expand their learning may be interested in “The Advanced Facilitator.” See the question below. Is further facilitation training assistance offered? Previously trained PeerSpectives facilitators with a current license are welcomed to attend training as a refresher. Cost is $300 per person. The foundation offers “The Advanced Facilitator,” a learning retreat for experienced facilitators who wish to further hone their skills. Contact Rita Phillips for more information or to register for an upcoming session. 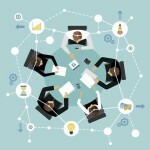 PeerSpectives is a unique CEO roundtable system that enhances leadership abilities and improves decision making.